Last week, I wrote a post about the growing specialty coffee culture in Colombia. But the real question is: “Where can I experience this?” If, like me, you are looking not just for a mind-blowing cup of coffee (because, let’s face it, sometimes I can’t tell much more than that it tastes like great coffee) but an experience as well; something to really write home about; you need to go to those who know coffee and make it best. Luckily for you, (and I’m not complaining either!) I have been doing my research! 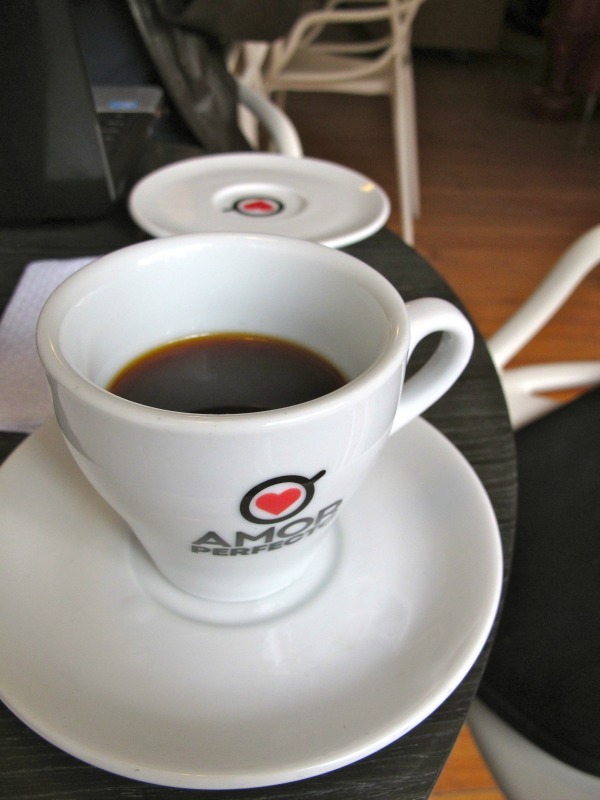 So here are my Top 5 independent coffee shops in my home city of Bogota, all of which are sure to give you that “best coffee I had in Colombia” giddiness! 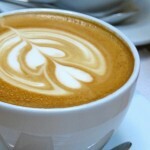 Want to be served by the last two reigning national barista champions? 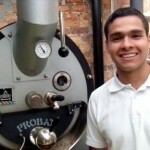 Your chances are good as both Diego (current champ) and Nicolás (2013 champ) are baristas in Chapinero’s Amor Perfecto. If you are lucky, Diego, who is training for the international competition, can make you his signature, championship winning drink – a tamarind and raw sugar-cane infused coffee! What started as one of the pioneer coffee roasters of high quality premium Colombian origin coffee 16 years ago, now has this beautiful shop on the outskirts of the Zona G. You can choose from a variety of different regional varieties and preparation methods, and also take a peek in the glass walled coffee “laboratory” where tastings and workshops frequently take place. If you are looking for a touch of elegance and another amazing selection of incredibly unique and flavorful coffees, drop into Devotion, a coffee boutique that is attached to the Hilton Hotel. Focused on bringing you the finest in Colombian coffee, the menu (and friendly baristas like Diego) guides you through each coffee choice including information about the farm, the region and what flavors and notes you will find. 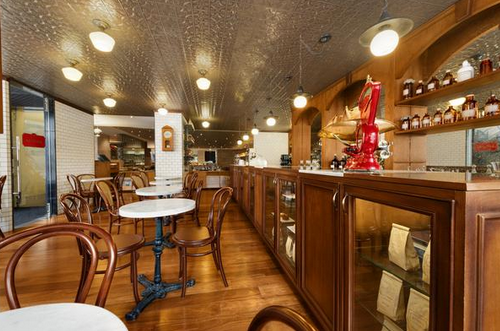 To bring it all together, the shop has a late 1800s style decor with a gorgeous old bar, mirrored walls, and antique bottles, marked with different chemicals naturally contained in coffee, lining the shelves. Devotion´s hope is that you will be able to learn a bit more about Colombian coffee with each visit and try a new variety or preparation each time. 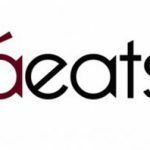 To really mark the success of this concept it is expanding, with a U.S. location opening at the start of 2015! An innovative coffee shop in the heart of Zona G, Café Cultor brings social consciousness and the highest quality coffee to you in “just one cup”. 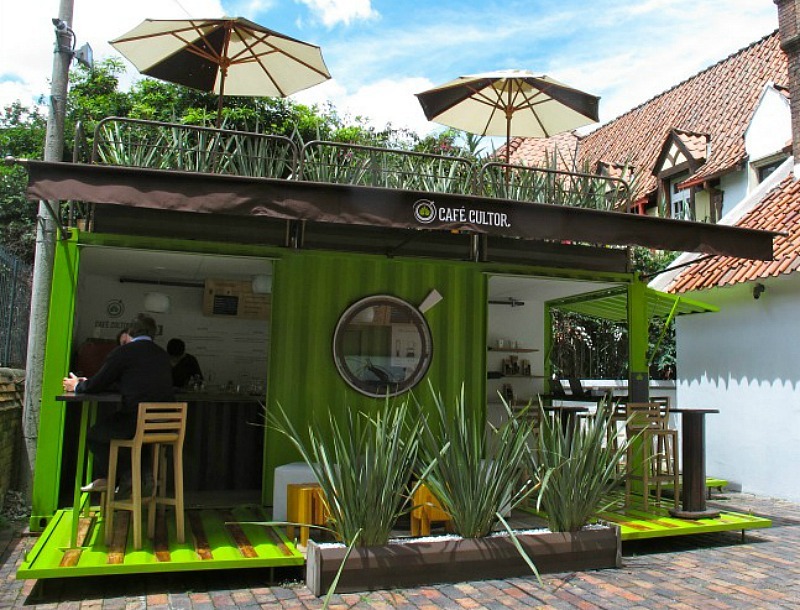 Open 7 days a week, Café Cultor is located in a bright green recycled shipping container with a garden terrace rooftop, covered in infografics detailing their direct impact supply chain, as well as educational facts about Colombian coffee. Head barista Manuel (also a great DJ as if you look for good music with your coffee!) and co. will be happy to share information with you about the coffee plantation where your cup originated, as Café Cultor´s mission is to give recognition to the coffee farmers who toil for years to develop the excellent quality cup you are enjoying. They work directly with these farmers, ensuring quality from seed to cup; pay fair-trade prices; provide training for environmental and quality-improvement programs; and support the farmers and their families year-round. You can try your coffee prepared in a number of artisan methods recommended for each unique single origin based on its notes and profile. Check their Facebook page while you’re in town so you can join in on the free monthly tastings, workshops and cultural events. Head up to chic Parque 93 and you will find fancy restaurants, pretty parks and, tucked away on a side-street just around the corner from the new Starbucks, Azahar. Also in a shipping container, this unique space begs you to come in and check it out. Named after the flower of the coffee plant, Azahar was founded by travelers inspired to bring more recognition to Colombian coffee farmers. On every bag you will find all of the info about your coffee, the farmer and their plantation and, here’s the real treat, a QR code that takes you to a video of the farmer explaining what makes their coffee special. Buying directly from the coffee farmers and selecting and processing in their own plant in Armenia, Azahar focuses on quality control which ensures perfectly roasted coffee in your cup and in many restaurants around the city. The friendly baristas, including Oscar (who boasts some pretty cool coffee tattoos to boot), will gladly provide detailed answers to any questions you have and offer free tastings on the last Saturday of every month. 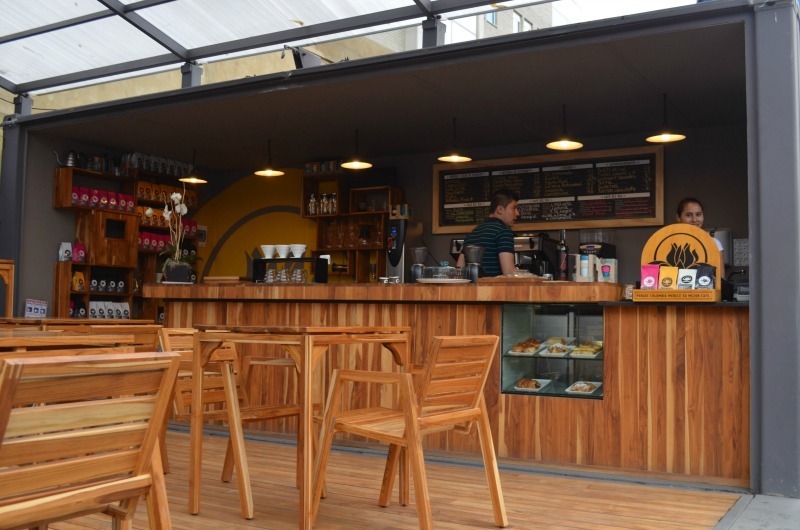 Hidden off a busy street near a Transmilenio station in Chapinero, you will find a relaxing coffee shop with sleek wooden modern touches, bearing the name of a unique Colombian coffee variety. Bourbon offers a range of coffees and preparation methods including an intriguing menu of coffee-cocktails if you fancy kicking it up a notch. Grab a seat in a comfy chair or couch and you might just end up staying for hours: it’s that kind of place. 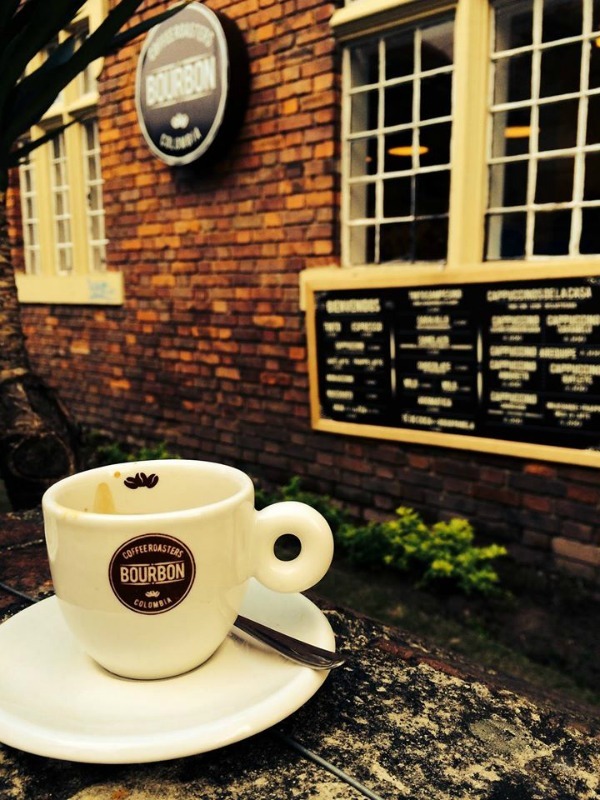 With friendly service, excellent quality beans and an equally satisfying finished product, Bourbon is well worth a visit. 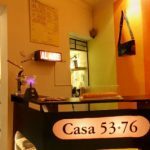 hey im the owner of a coffe shop in Armenia – quindio! It is in a container and we are trying to do things different!